Nuclear power plant in Dukovany, Czech Republic. Image credit: Petr Adamek. (Phys.org) —Climate researchers Pushker Kharecha and James Hansen (a NASA scientist and environmental activist) have published a paper in Environmental Science & Technology, in which they claim that using nuclear energy to create electricity instead of burning coal has resulted in preventing approximately 1.84 million deaths. Their numbers come from calculating how many people would have likely died due to air pollution over the years, but didn't, because electricity was created by non-air polluting nuclear power plants instead. Kharecha and Hansen argue that burning coal over the years that nuclear power has been used as a viable energy source, (since 1971) instead of building nuclear plants would have led to deaths from lung related ailments from both the mining of coal, and burning it to create electricity. They have then used the number of deaths in the past from such ailments to project numbers in the future. They say that if the world would convert to all nuclear power by the middle of this century, 420,000 to 7 million deaths could be prevented. The numbers vary so much because they would depend on which energy source nuclear power would replace. Their overall point is that nuclear energy is much safer than coal—when looking at raw death numbers—and therefore should be seen as a replacement source for electricity generation, rather than as menace that should be abolished. Public opinion has swayed in the aftermath of the Fukushima disaster two years ago, providing stark evidence of the terrible toll that nuclear energy can take—it also reminds the public of Chernobyl and has created fear and reluctance to build new plants, particularly among those who might live near one. But, Kharecha and Hansen counter, burning coal has another problem—it also results in the pumping of gigatons of greenhouse gasses into the atmosphere causing global warming, which could also lead to deaths due to flooding of coastal areas as ocean levels rise. It's a matter of risk analysis, they say, not of emotion—nuclear energy is clearly the safer technology and because of that, efforts should be undertaken to build more nuclear plants and to shut down coal plants while awaiting the maturation of other new technology such as wind and solar power. 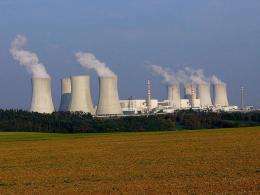 In the aftermath of the March 2011 accident at Japan's Fukushima Daiichi nuclear power plant, the future contribution of nuclear power to the global energy supply has become somewhat uncertain. Because nuclear power is an abundant, low-carbon source of base-load power, on balance it could make a large contribution to mitigation of global climate change and air pollution. Using historical production data, we calculate that global nuclear power has prevented about 1.84 million air pollution-related deaths and 64 gigatonnes (Gt) CO2-equivalent greenhouse gas (GHG) emissions that would have resulted from fossil fuel burning. Based on global projection data that take into account the effects of Fukushima, we find that by mid-century, nuclear power could prevent an additional 420,000 to 7.04 million deaths and 80 to 240 GtCO2-eq emissions due to fossil fuels, depending on which fuel it replaces. By contrast, we assess that large-scale expansion of natural gas use would not mitigate the climate problem and would cause far more deaths than expansion of nuclear power. To be more accurate, using non-polluting and non-poisoning alternative energy sources caused less deaths than burning coal. With nuclear power regionally devastating accidents CAN happen. The paper is free to download, and I got it with no trouble yesterday, but today, when I checked back, it was saying "Your current credentials do not allow retrieval of the full text". Don't let this stop you! Click on "Hi-Res PDF[910 kb]" and it will tell you the paper is free if you'll just register for an ACS ID -- which is also free. They project future nuclear power use causing a lot less death than natural gas. Gas makes a lot of money for government, so this is science at its best: fearlessly and truthfully biting the hand that feeds. The authors don't include any non fatal cancers and hereditary damages in their analysis. They also exclude potential deaths from proliferation of weapons grade nuclear material. chronic bronchitis, congestive heart failure, non-fatal cancers, and hereditary effects"
We will know we are doing good when we don't mind living down the street from the power plant, your friends don't mind visiting and you don't cringe excessively when natural events occur. Global population reduction through a voluntary "one child per couple" policy, encouraged by negative reinforcement by phasing out deductions and credits for additional children, is the best solution. Average individual wealth and health increases when population decreases, because the amount of resources on the planet are finite. With such a policy, you could conceivably cut population by a significant margin, without any evil acts and without any human rights violations. 1, No child tax credit beyond the first child, AND child tax credits are only available when filing married, with marriage being defined as man and woman. 2, No Standard Deduction for any child beyond the second child for filing Married, and no Standard Deduction for any child beyond the first when filing Single or Head of Household. 3, Exceptions to rules 1 and 2 would be if the extra children are adopted from another couple no closer related than 4th cousin. No one died in Fukushima from radioactivity and there is no sign of increased number of cancer patients caused by the accident. Now nuclear power is proven to be safer than most of the power sources. Thousands of US Navy personnel have worked and slept next to nuclear reactors for decades. Too bad climate 'researchers' did not promote nuclear power instead of trying to destroy the economy with carbon taxes. The tsunami had nothing to do with this? "Public opinion has swayed in the aftermath of the Fukushima disaster two years ago, providing stark evidence of the terrible toll that nuclear energy can take"
"terrible toll" of zero deaths? If Fuku proved anything, then it's that even the worst case scenario amounts to essentially nothing. Facts are fact, and hype is hype. nuclear power has prevented approximately 1.84 million deaths.. This is really touching... And the ignorance of cold fusion killed 138 millions of people. Does anybody care here?